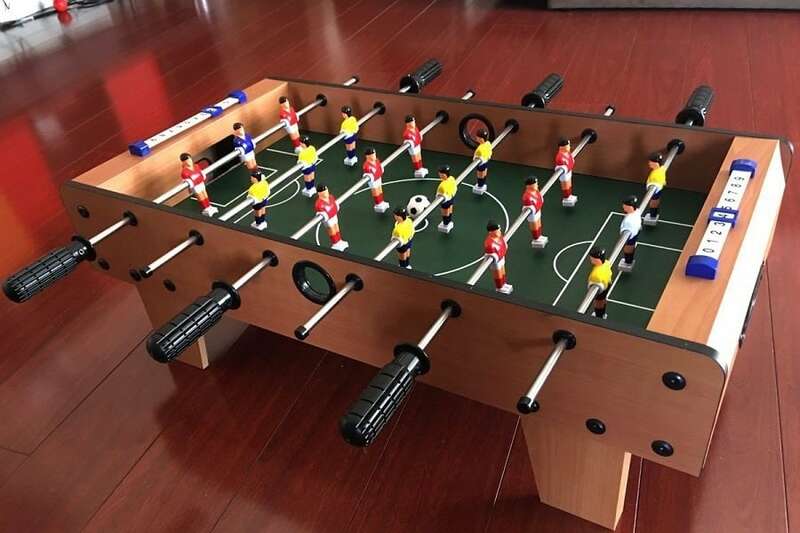 Once you’ve gotten your perfect foosball all set up in your den, garage, or rec room, you’re ready to start enjoying some competitive rounds of table soccer with friends and family! However, the longer you own, the more you realize that there is some maintenance and upkeep involved. Eventually, certain parts are going to wear down and need replacement. Getting the right foosball accessory to make sure your table is working just like you want it to takes some research and patience. We hope that this guide will help make the process of shopping for foosball replacement parts a little less stressful. Keep reading to learn more! 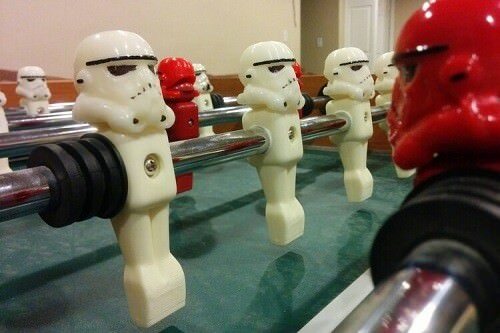 There is actually quite a wide variety of different k﻿﻿i﻿﻿nds of foosball balls. 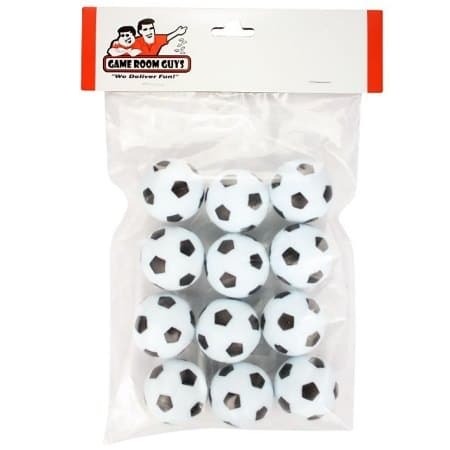 On amazon, foosball balls of all kinds are available so it’s a great place to start your search. The kind you choose depends on the style you prefer to play as well as your skill level. For example, you can choose smooth, textured, corked or traditional. 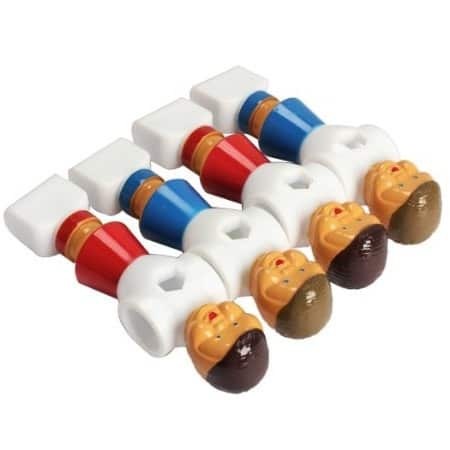 American varieties like the tornado foosball roll pin punch are usually textured and a little more suited to casual fun play rather than the denser, slower ones used for skilled play. Without the right handles, you want have the grip and stability that you need to execute the moves you want to do. Cheap, cracking, or loose handles will ruin your ability to control the rods. Typically, you’ll see wooden handles on a lot of the higher end or professional tables. That’s because wood doesn’t become slippery when your hands get sweaty. However, rubber is another great option. You just want to avoid plastic for the most part. Your players undergo quite a bit of wear and tear, especially if you are a skilled player. This is usually only at the kicker but it’s still to make sure you’ve got good, fresh replacement players to make sure your game is not being affected by this. Plus, you can usually find fun replacements that are painted like your favorite team or otherwise a little more personalized and custom! Below, you’ll find brief overview of 3 of our favorite foosball accessories on the market right now. We’ve chosen 3 different kinds of accessories so you can get a better sense of your options for each of them. Package contains 4 pieces (2 for each side). It’s always a good idea to have a package of spare players on hand. Sometimes a rough game can lead to a broken player and it’s no fun if that has to mean the end of your foosball playing for the night! If you’ve got these quality replacement players on hand already, you can simply replace the broken one and continue playing! Soft ¼ inch protective padding. 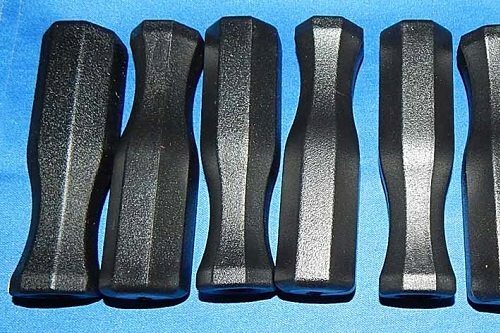 While these are plastic which is not the most highly recommended for professional or skilled playing, they are great for the casual foosball player who wants to keep their foosball table up to date without shelling out a lot of cash for their hobby. 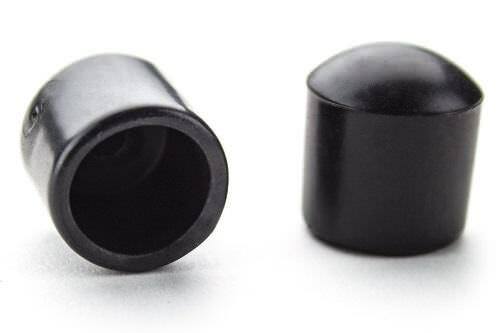 These are durable, soft, and exactly what you need in a standard foosball handle. Plus, you get 20 of them which is more than enough to replace each handle on each end of your rods and still have some to spare after! 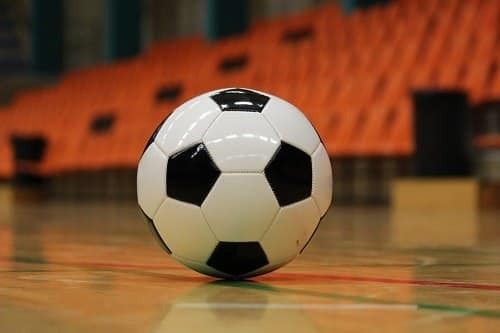 What’s especially great about these soccer balls is that they are compatible with tornado, dynamo or Shelti foosball tables! And it’s always good to have some spare foosball balls on hand because they can wear out fairly quickly. Moreover, they have a habit of getting lost especially if you’ve got kids in the house! They are a bit on the smoother side so you won’t be able to do as many high skill level trick shots but they are ideal for those who are just playing for fun!